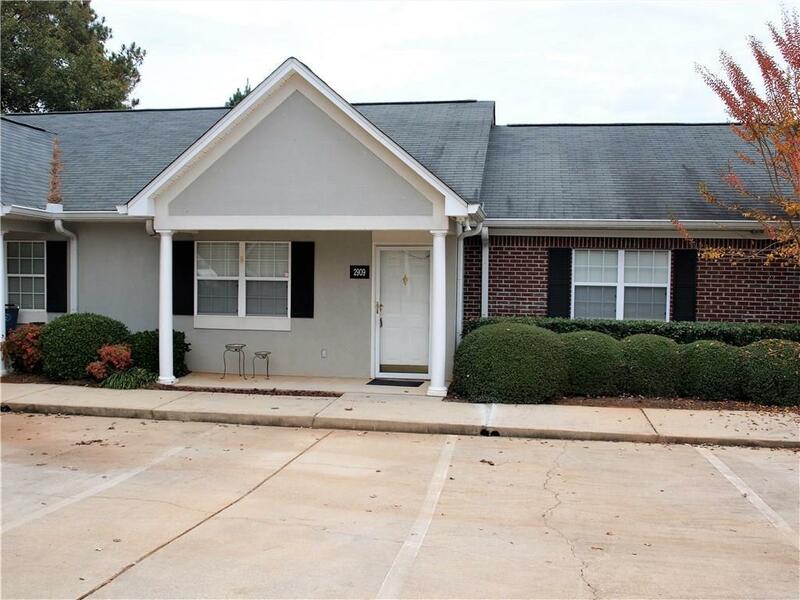 Welcome Home to your Stepless Ranch Condo w/Newly upgraded stainless steel appliances, Tile flooring, New Trane Energy Efficient HVAC System, New 50 gallon Water Heater, New Lighting Fixtures, Newly Renovated Sunroom w/43" LED TV included. You will enjoy the double master floor plan w/each having their own bathroom. Relax in the sunroom w/a cup of coffee and watch TV or will make a great office area. Location is fabulous as less than a mile from grocery store, restaurants, and with 2 miles of shopping and more. Schedule your showing today. Directions: From Gainesville, Take Browns Bridge Rd Going Out Of Town, Turn Left On Florence Dr, And Then Left Into Neighborhood. Condo Will Be The 2nd Left Inside The Neighborhood. Selling Office: Savage Real Estate And Auction Company, Inc.